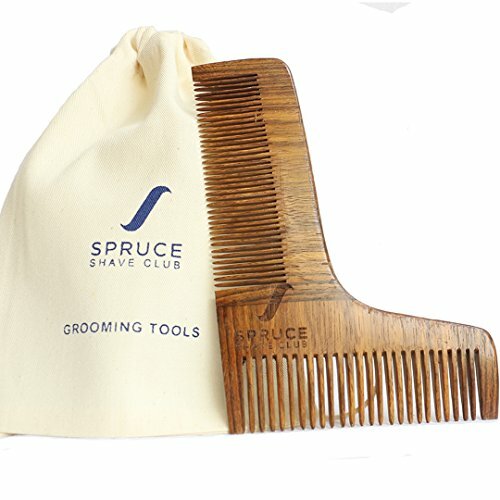 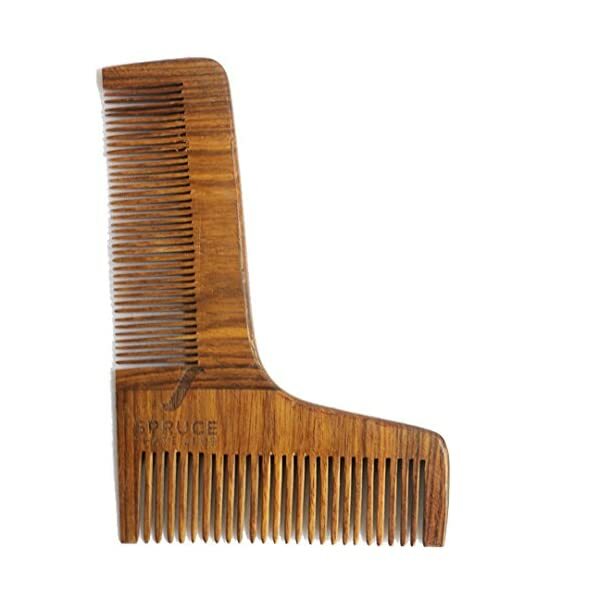 The Spruce Shave Club Beard Styling & Shaping comb is a singular and stylish genuine wood comb designed that can assist you style, shape, groom and comb your beard to perfection. 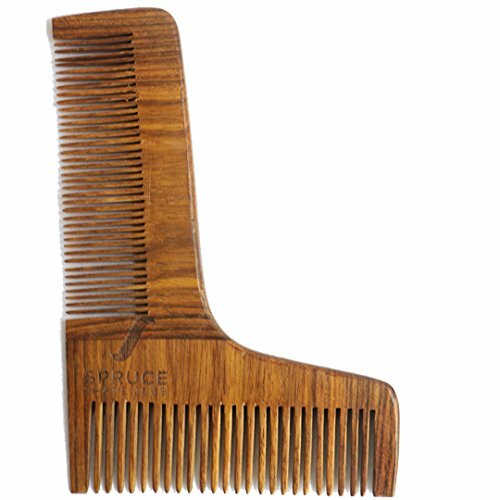 The tool has 2 combs with different teeth sizes to permit simple combing for all beard and moustache sizes. 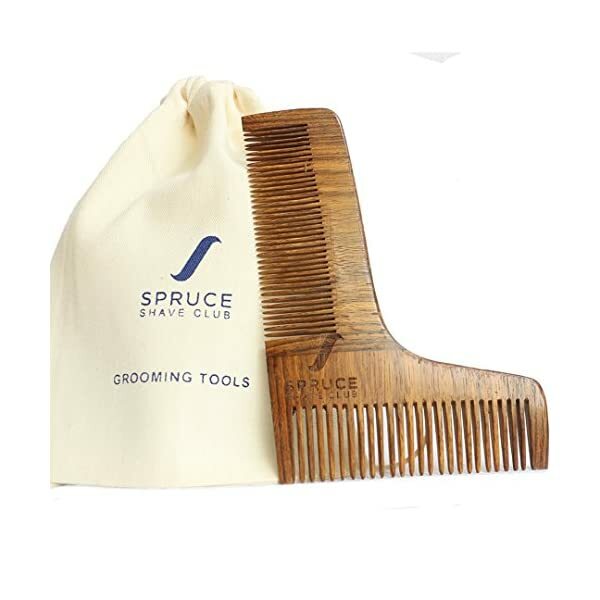 Additionally it comes with a trendy carry pouch to make your beard grooming enjoy effortless and convenient.